Rowen’s Arcade began as a small arcade of 5 shops, built by Alf & Doreen Rowen on their front lawn, in 1965. It was the first shopping arcade in Ulladulla. Since then, Rowen’s has been expanded and refurbished a number of times to become the modern multi level entertainment and shopping complex that it is today. 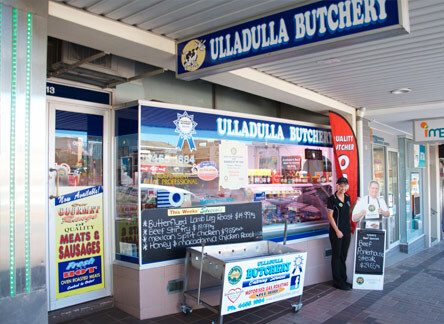 Some of the original businesses still operate, including the butcher and baker, which is testament to the quality of their products, location and service. Rowen’s has built up an assortment of leading retailers with great products to please even the most discerning shopper. Our range is second to none and with a cinema and indoor fun park upstairs, the kids are well catered for while you shop. There’s everything from electrical to music, travel, books, phones and phone repairs, hair & beauty treatments, health, fashion, accessories, gifts, homewares, decor, Chinese massage, butchery, bakers, coffee shops, optometrist, employment services, craft supplies, cafe, burgers, jaffles, donuts, pies and an assortment of other tasty meals and snacks. Upstairs are the cinemas screening everything including the latest 3d movies and Funland, the largest and best value indoor fun park in NSW with rides and games for all ages. 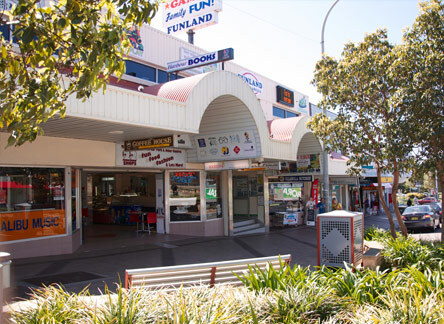 With the Post Office and banks, Medicare/Centrelink, restaurants, many shops and the new harbour walkway nearby; with under cover links to adjoining centres; and with Coles Supermarket just across the road, Rowen’s enjoys a prominent location linking the Highway through to Boree St and the main CBD car park. 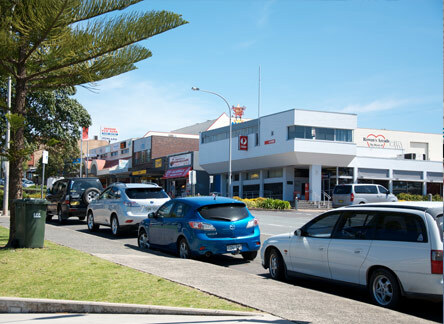 With 5 entrances Rowen’s Arcade is the best-connected and most convenient location in town, with its own parking right next door and is known up and down the Coast as the “Heart of Ulladulla.” We have public toilets and a baby change facility too. 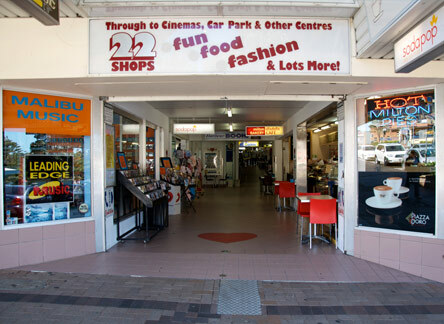 When people think of great shopping in Ulladulla, they think of Rowen’s Arcade. It is so easy to find - you can’t miss it as you enter town from any direction – just look for the big heart! Rowen’s has supported countless functions and events throughout its nearly 50 years in Ulladulla. We have won best float at the Blessing of the Fleet and regularly support the local Milton Ulladulla Hospital Auxiliary with their Christmas fundraiser. Schools have sung Christmas Carols and held colouring competitions in the centre. Rowen’s has won awards for its decorations and been a strong supporter of the local chamber of Commerce since the 1960’s. We regularly provide free mall space for charities such as the Starlight Foundation as well as assist local committees to raise awareness of important issues with free stalls and displays. Rowen’s provides a Santa Claus every year and an ever-improving shopping experience for locals and visitors alike, while continually giving something back to the community.